As Community Manager at SparkPost, I believe my job has two major parts, or halves. It’s as much about promoting and building the community inside of SparkPost as it is interacting with those of you who are using our product. 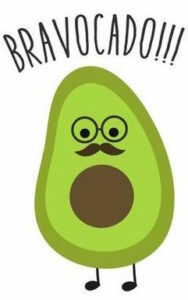 In the rare moments when those two parts of my job connect (just like the pit connects avocado halves), you’ll see me doing a happy dance like this around the office. I had one of those moments when I sat down to figure out who won our first annual Avocado Points trophy. If you’re feeling a little lost, just hang on. I’ll explain how folks earned points, why we’re giving away Avocado Points in the first place, and how my team is truly amazing (not in that particular order). First things first… avocados. My coworker Aydrian and I love them. 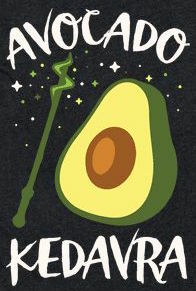 Also, one of our project managers has a hard time saying the phrase “Developer Advocates” (and perhaps also has a slight obsession with avocados), so we’ve became known as the Developer Avocado team. 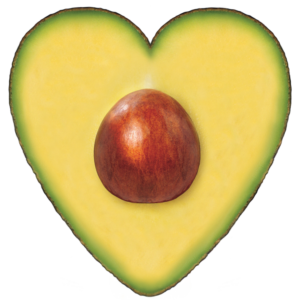 Avocado Points were born a year ago when I asked our developers to help us out as we began to focus on building and supporting our community in new ways. To say they stepped up to the plate is putting it lightly. 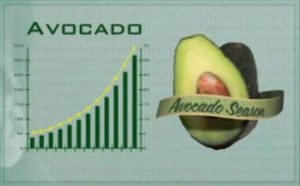 We set goals and stretch goals, and came up with rewards up for each level of avocado points, including “Sparcado” stickers and getting to throw pies at our manager. What I didn’t anticipate was the amount of pull requests, the willingness to help answer questions in our Community Slack, and the sheer number of blog posts that would be written, not to mention the talks given, hours spent helping out with booth duty at conferences, and their general awesomeness. All that to say… they were avo control (in a good way) and it was everything I avo wanted. But as I’m sure all of you community folks know, it takes some work to get to this point! A lot of trial and error and prodding and advice-gathering. So how did we get here? When we originally started talking about Avocado Points, we wanted it to be an extension of traditional Slack karma: a way to acknowledge when our coworkers were doing awesome things above and beyond what was expected of them. In other words, we were looking to reward folks who spent extra time making sure that our client libraries were kept up to date, or offered to write a blog about something cool they were working on, or gave particularly good feedback on someone else’s project. Our bot-master Cole Furfaro-Strode built out a Guac Bot which we started using to nominate our colleagues. He also hid a few easter eggs in there for us to find. 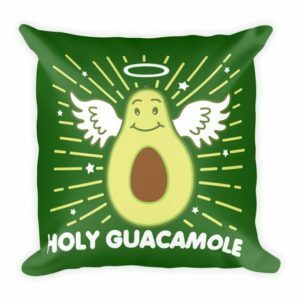 Let’s just say “Guac me” became a popular thing in Slack for a few weeks. But as the year got busier, nominations died off, and I struggled to find ways to continue rewarding folks for their work. Nagging was out of the question (we all know it never works), and besides, it wasn’t like the contributions had died down… if anything, they were growing exponentially! I settled into a regular routine of trying to keep track of what folks were doing (which, like nagging, didn’t work), and finally resolved to award points for the most easily tracked things: blogposts written and number of hackathons or conferences worked. It was an ok solution, but definitely not ideal for representing our avo-awesome team. Fast forward to the end of 2016, and I was left with the difficult task of figuring out who had earned the most Avocado Points. On the surface, this was easy! Simply ask Guac Bot who the leaders were, and I was left with a fairly straightforward accounting of deeds. But as we’ve already established, this didn’t take into account all of the things that affected our developer community, yet hadn’t been awarded as Avocado Points when they happened. My colleagues Ewan and Jesse (bless them) helped me with the backend calculations of how many Slack messages our employees had sent in our #community-help channel as well as how many pull requests each employee had to public-facing Github repos. Long story short, I owe them a lot of guacamole. After all of the scripts were written, I created a giant Google Sheet and pulled in all of the raw data. One by one, I figured out who came out on top in each category, and then worked some formula magic to figure out who came in the top over all. As we dig into the new year, I’ll be keeping an eye out for new ways to keep the community momentum going, both internally and externally. Have ideas on ways we can improve or want to share how you’ve encouraged your own internal community? Please let me know! Leave a comment below, reach out on Slack, or find me on Twitter. I’m all ears! One thing’s for sure: 2017 will have more avocado puns, and I’ll be looking for all of them. After all, they make my heart happy (as avocados are prone to do).